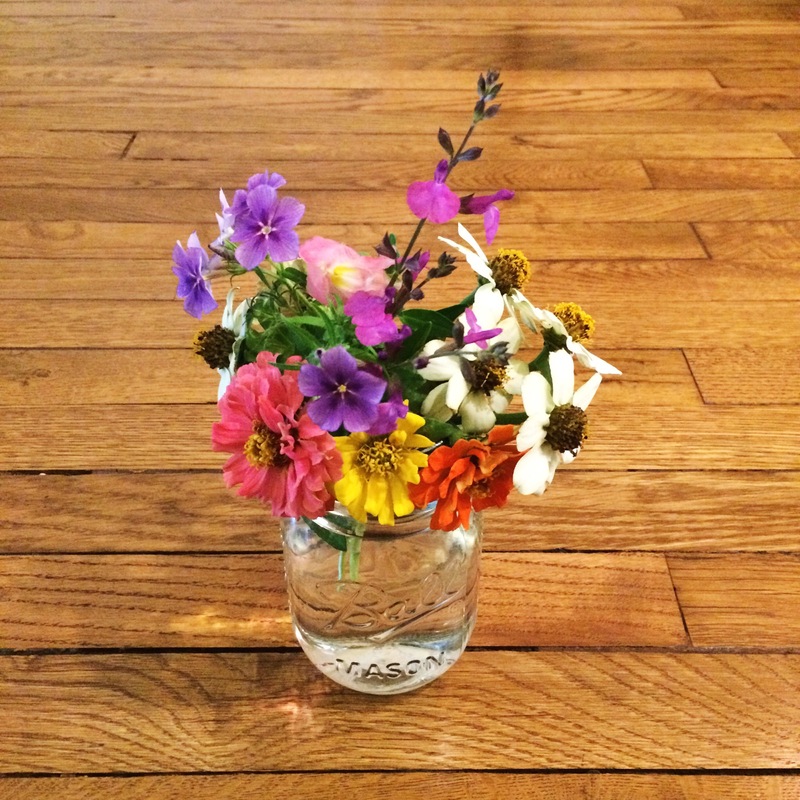 We planted a cutting flower garden this year. All the flower babies are starting to really take off, so I made our first arrangement. It will be fun to have fresh flowers in the house all season long! This entry was posted in Make and tagged bouquet, cutting garden, floral, flowers, garden on April 17, 2016 by Chelsea. 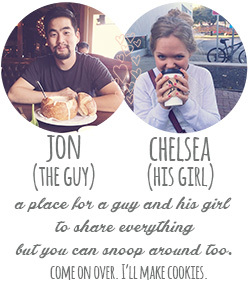 In the fall, Jon and I would end the day with a nice cup of chamomile tea while we curled up on the couch together. We found some chamomile seeds to plant this spring, and we are excited to see the dainty flowers grow soon. 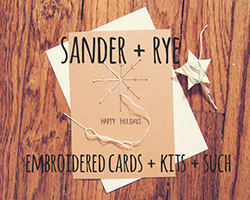 Send a comforting hello with a stitched up chamomile card, now in the shop! This entry was posted in Shop and tagged card, chamomile, create, diy, embroidery, etsy, floral, flower, greeting card, make, sander and rye, sew, spring on April 9, 2015 by Chelsea. I also have some flower gift tags and cactus cards available in the shop, if you need to send some floral thoughts to someone! This entry was posted in Finds and tagged accessories, floral, flower, pattern, spring on April 29, 2014 by Chelsea. These florals make me feel like summer. I am glad the sunshine finally got the memo that summer is coming soon. This entry was posted in Finds and tagged embroidery, floral, flowers, nature, painting, purse on May 13, 2013 by Chelsea. I have been growing an amaryllis plant for two years now. A dear friend gave it to me because of my little shop’s name. And it is still alive and has long leaves, and I think it is happy, but it has not once even thought about making a flower. But the guy’s mom gave us this amaryllis plant for Christmas, and look at it. Beautiful show-off. 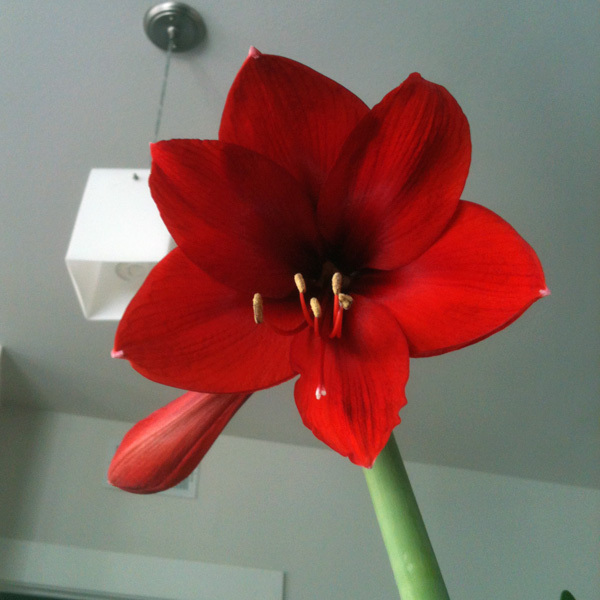 This entry was posted in Shop and tagged amaryllis, floral, flower, red on January 7, 2013 by Chelsea. I go through phases of looking at different wedding things. Last week I spent forever looking at invitations, yesterday it was dresses, and today was the day for flowers. I found this cheery bouquet on pinterest. This entry was posted in Finds and tagged bouquet, bride, floral, flower, peach, pink, wedding, wedding plannning on January 2, 2013 by Chelsea. This entry was posted in Finds and tagged casual, Cute, fashion, floral, moccasins, sequin, Shoes, shopping, style on November 26, 2012 by Chelsea.